That’s why we’ve decided to start Cosplay Convo – Exclusive interviews with models from our team of cosplayers, talking about their experiences in cosplay, their future plans and why they continue to work with CSC. 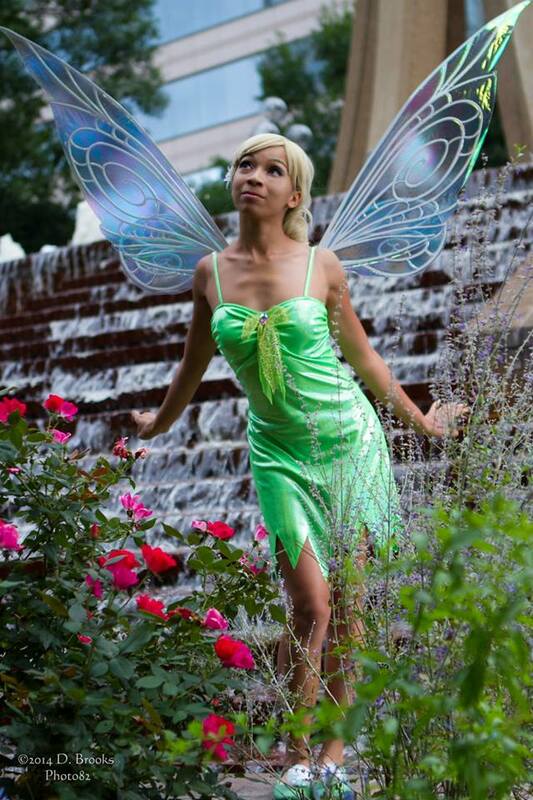 This week, we sat down with Jazzmin Jolly, who recently took CSC’s Tinkerbell costume and paired it with accessories from other stores. Jazzmin Jolly: The first con I went to was Ichibancon in Concord, North Carolina at the Great Wolf Lodge, and I think it was about three years ago. I really had very little idea as to what was going on, and the con itself was super small, but I fell in love anyway! It was so awesome to see other people that enjoyed video games and anime just as much as I do! The next one that I went to was Animazement in Raleigh which was MUCH larger and it opened my eyes to how many more people there were just like me! I had someone make it for me, and I wasn’t the best Tifa, but I knew how to do splits and flips and drop into the pose that Tifa is always in, so that usually made me stand out in pics. JJ: I was excited! 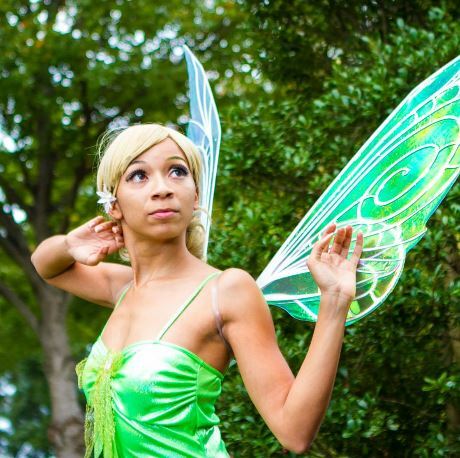 I love getting new sponsorships and was already looking for an accurate Tinkerbell. It was an honor and one less thing that I had to figure out how to do myself! Haha! CSC: Like you said, for CSC, you decided to wear our Tinkerbell costume. What made you pick that particular costume, and what was the feedback from your fans like? Did they enjoy it? JJ: I do MANY different Disney characters. Tinkerbell was on my “To-Do” list and it was an awesome way to get back into my Disney shoots! Plus, I LOVE fairies, so I was super excited to be able to flit and flutter around! JJ: I try to write on my page every day (sometimes I fail miserably), but I do respond to as many people as I can and read every comment and message. I like to share older pictures that new fans may not have seen, and I bombard everyone with every pic that I get! Meeting fans at convention is, like, the coolest thing ever! It’s hard to believe that I have fans in general! But when I go anywhere and people come up and they’re like “Oh my God, ARE YOU JAZZMIN JOLLY? !” it’s so cool to be able to meet people that appreciate the hard work that you put into your own hobby! JJ: Uhh… Umm. I’m not sure yet. Let me meditate on that and get back to you. BUT more WILL be coming! JJ: Oh my gosh, I love the team at Costume SuperCenter! The grade? A+! I SUPER enjoyed working with you guys and I hope we get to collaborate again soon!